Minus 13 has a uniquely interesting hexagon game board, designed from six stepped triangles. Put them together to form a pyramid, lock together with the locking cap and play! Collect the chips while you may, but a roll of the dice has the last say! A FUN new way to hone basic addition, multiplication and subtraction skills for ages 7-adult. This Preschool version of “Life on the Farm” looks at life on a family farm from the preschooler’s point of view. 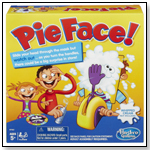 Designed for ages 3-7, this game quickly became a favorite when tested by preschoolers and early education specialists. The gameboard is a soft-feel foam 5-piece puzzle. 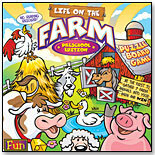 Match colors to move - Fill your puzzle barn with animals to win!